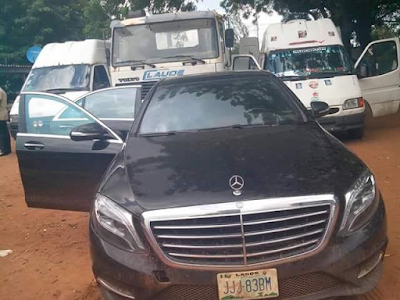 The Officers and Men of Nigeria Customs Service Ogun Command on the 17th May, 2017, intercepted smuggled goods with Duty Paid Value of N37, 246, 847.00. 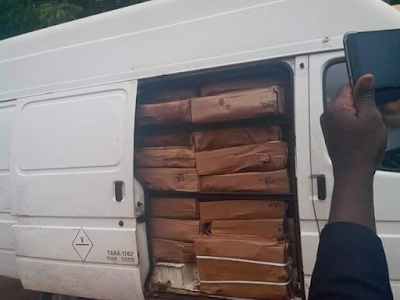 ⦁ 721 cartons of imported Croaker fish loaded in two (2) J5 buses with registration numbers AKD 674 XU and KJA 635 XU respectively. 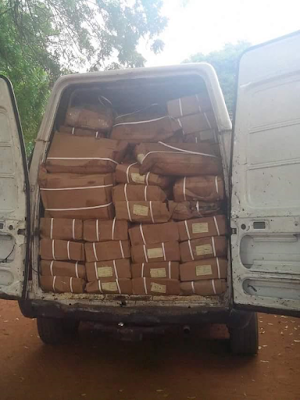 ⦁ 483 bags of 50kg smuggled foreign rice intercepted along the creeks in Ipokia Local Government Area. The Customs Area Controller, Ogun Command,Comptroller Sani Madugu, emphasizes the need for all Nigerians, especially traders to comply with Federal Government fiscal policies on trade, as the Command will not relent in its anti-smuggling operations. 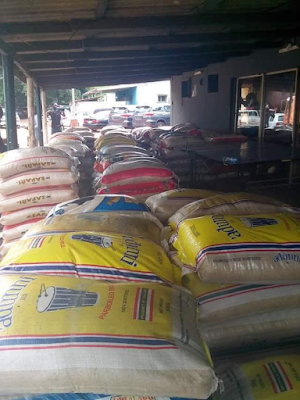 "It is pertinent to reiterate that Rice and Vehicles have come under restriction from being imported through the land borders, while frozen poultry products are completely prohibited into the country. On the other hand, Fish products are under regulated products in Nigeria with some specific guidelines which every fish importer must fulfill before he or she can embark on importation of such. These include license/permit from Federal Ministry of Agriculture and Rural Development by importing company and such importation must be subjected to National Agency for Food Administration and Control (NAFADAC) inspection/certification among others". He said. "Finally, let me seize this opportunity to reiterate my appeal to the traditional rulers and eminent personalities in the state to sensitize there wards on the ills of smuggling. We believe that, doing so will change the perception of many towards our operations and further highlight our service to our beloved nation. We are ready to partner with all stakeholders and all law abiding citizens in our resolve to collect maximum revenue for the betterment of all and to reduce smuggling to its barest minimum."